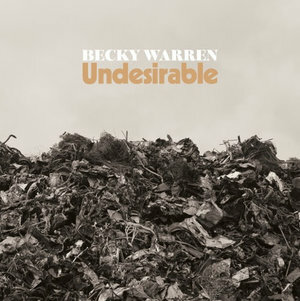 Becky Warren chooses the subjects of her albums carefully, compassionately and skillfully. 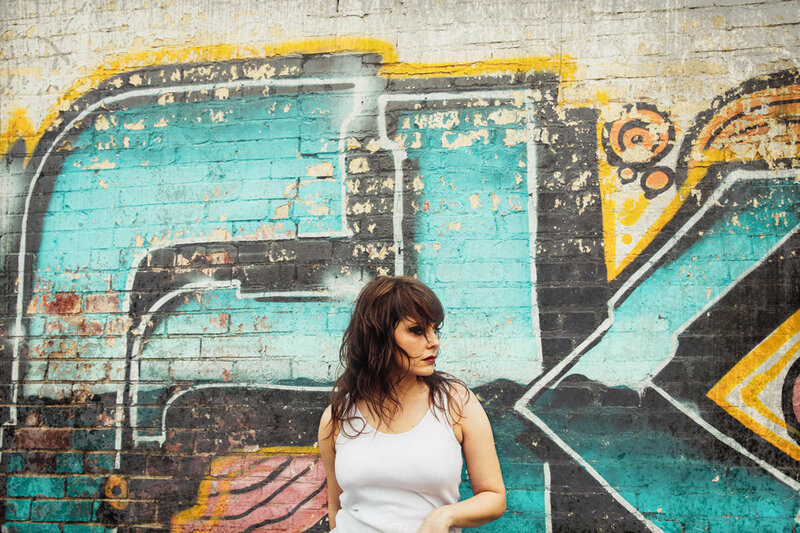 That's what makes her one of neo-Nashville's best yet most unheralded singer-songwriters, one who possesses all-Americana values while facing hard truths in tackling difficult concepts that don't get played on the radio. Coming off 2016's War Surplus, the beautifully written, and daring but dark portrait of a too-close-to-home fictional couple whose marriage was irreparably damaged by the husband's Iraq War experiences, Warren is watching Americans fight another battle in her own backyard on Undesirable. 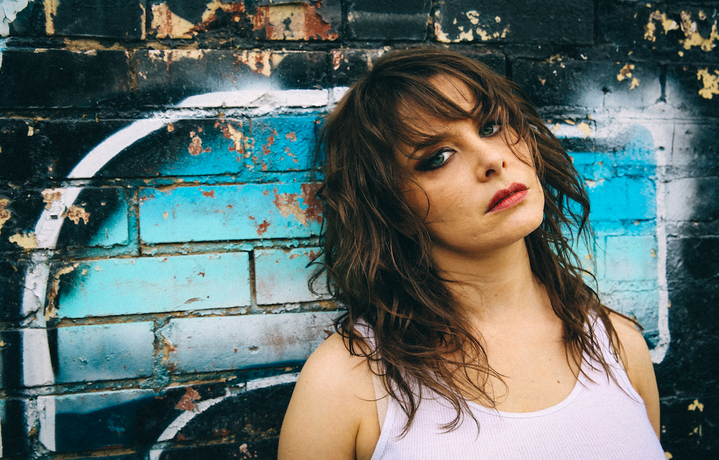 Her second solo album, set to be released on October 19, examines the lives of impoverished or homeless men and women who somehow manage to survive the street life in any way they can. As others conduct daily business while passing judgment and selfishly focusing on their own problems, the homeless are called Undesirable by a cold, cruel world. "It kind of seems to sum up my feeling about, you know, just this group of people that I had talked to and interviewed for the record who I thought were all really incredible people. And it sort of just hopefully and succinctly summed up the difference between people's preconceptions of them and what I felt was true about them." So Warren, who received critical praise and media attention after the October 2016 release of War Surplus (she was one of my top 16 artists of '16, along with songwriter of the year), found another immersive mission for herself. It involved much more than writing snappy songs on a comfy couch nestled close to a crackling fireplace. "I started to think about the parts of the War Surplus experience and releasing it that were the most rewarding for me," Warren offered. "And it was getting to talk to people about veterans' issues and meeting vets and their families, and I really liked that. And using my music to talk about something I cared about. So I thought, 'Is there a way to do that again?' "
Warren, who grew up in Atlanta and Charlotte, North Carolina, as the only child of a civil engineer (John Warren) and bank attorney (Robin) before attending Boston-area Wellesley College and majoring in history, always loved to read and write, but found her English classes less than desirable. Moving to Nashville (in February 2013, she recalls) after performing in an East Coast-based band called the Great Unknowns, Warren didn't initially intend to start a solo career but just wanted to be part of a strong songwriting community. Living then right off Music Row, she started reading The Contributor, a street newspaper that, according to its mission statement, "creates economic opportunity with dignity by investing in the lives of people experiencing homelessness and poverty." Warren made donations and bought the local paper for months from Shawn Lesley, a Contributor vendor and Nashville native who once spent time in prison and slept in Owen Bradley Park. He "was just really friendly and started telling jokes and making people laugh and he just … everybody knew this guy," she said. Enjoying the design and the content of the paper published every other week by a nonprofit, Warren said, "I just started thinking about him and how I was interested in his story and that I thought the paper was a really cool thing." So she contacted Brady Banks, the publication's executive director at the time, and got the OK to meet and interview vendors, who earn a $3 profit for each paper they sell just to help make ends meet. Some of them became subjects of the concept album that Warren started developing in January 2017. 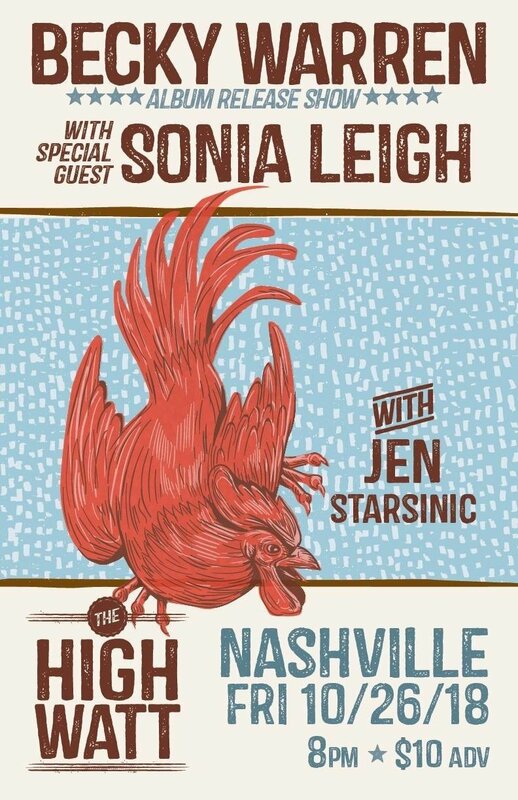 Nine of the 11 songs she wrote exclusively, while "Highway Lights" and "Let Me Down Again" were cowritten with Mary Bragg, her gal pal, frequent collaborator and duo co-founder of the Reckless Electric, the enjoyable side project that included a record release (Comeback) in March. Without having to answer to any label executives about Undesirable's tricky material, the independent-minded Warren said with a laugh, "People probably would have been skeptical. It doesn't sound like a very fun album." — "We're All We Got"
Living hasn't always been easy for Warren, either, though one particularly sad episode pushed her to create the absorbing personal project that became War Surplus. Falling for a military man who was deployed to Iraq a week after they were married, he returned home with PTSD, and their failure to recover together led to an amicable split four years later. Warren departed Washington D.C., where her husband had been working, and with the encouragement of songwriting mentor Lari White, a popular country artist and Grammy winner who died in January at age 52, started over in the Music City. This setting was the dreamscape Warren had imagined since becoming "obsessed with music" even before she was a four-year-old engaging in a dress-up fantasy world with her friend Emily, who would play-act as Christie Brinkley. Becky was tickled to embrace the role of Billy Joel. "I think I went to a Billy Joel concert with [Emily] when I was like six years old," Warren said. "And my parents, I guess, I can't remember if I wanted to or they just sort of signed me up for piano lessons. And I didn't love that. But I really wanted a guitar. So I kept asking for one, and for my 13th birthday, they got me a guitar. And I remember writing songs, like, one of the very first things I did after I learned a few chords." Perhaps that first effort pushed Warren into character-driven songs that became so illuminating, so rich in detail. While listening to Warren's lyrics, one could merrily bounce around while envisioning a woman named "Carmen" (She colored everything with starlight / Somehow the trouble's all right with her at the wheel) or a man named "Michael" (from Undesirable's "Sunshine State") sitting a few feet away. Warren walked on common ground with her subjects, a number of people she interviewed who have experienced loss in their lives, particularly since her father died when she was only 19. But "Michael" was an exception, with the jangly "Sunshine State" based on a man who spent 20 years in prison, making that one "really hard for me to write," she said. Carmen (not her real name), the character who lives in motel room 252, also returns in "You're Always Drunk", a rowdy condemnation of her partner (Nobody else has got your talent for the lame excuse) that nonetheless should get barflies buzzing wherever it's played. Told from Carmen's point of view, Warren revealed, "That's how she sort of ended up homeless and then she met this lovely man (laughs) who's the one the perspective Carmen is from. 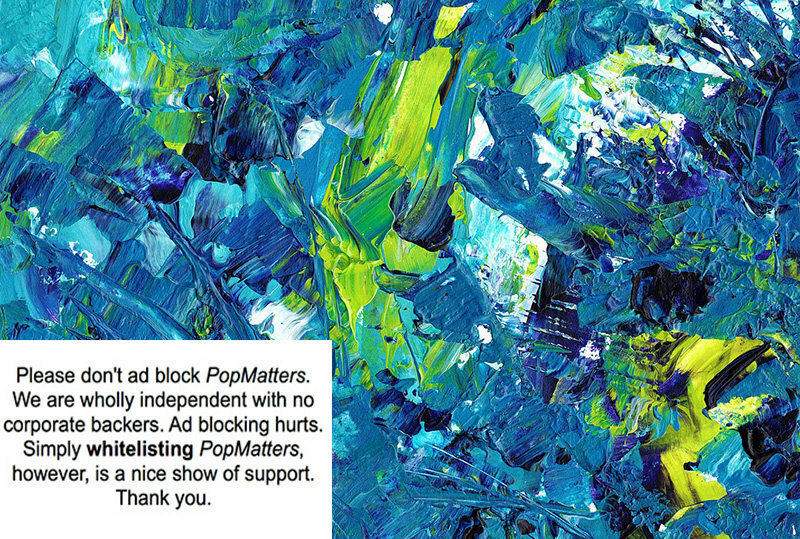 And now they both live together and they're artists, visual artists who are selling papers now." The powerful material was bolstered by producer-guitarist Dan Knobler (Rodney Crowell, Lake Street Dive, Tift Merritt), who assembled a crackerjack outfit that included guitarist Jeff Malinowski. Both of them were stellar players on the Reckless Electric album, too. Other musicians along for the careening ride to record at Knobler's Nashville studio called Goosehead Palace were Warren's longtime bass player Jeremy Middleton (a U.S. Navy veteran who played in the military branch's band), Jason Burger (drums), Danny Mitchell (keyboards) and Phillip Sterk (pedal steel). Amy Ray of Indigo Girls, Warren's friend, role model and prominent booster, makes a special guest appearance, providing harmony vocals on the rip-roaring "We're All We Got." Warren remembers listening to Indigo Girls as early as 1991, when she got her first guitar, "so even before I met them, they had a huge influence on me and sort of my ability to see myself doing this professionally," she said. "They showed that it was possible. And then, since meeting them, they've done so much for me. … They're so down to earth and kind and generous, and the same way I would hope to be if I got to their level." After opening many a road event for Indigo Girls' Ray and Emily Saliers, Warren will share the same Nashville building with Ray for separate shows on October 26. At the Cannery, Ray will play the Mercy Lounge in support of her new album Holler, while Warren will perform an album release show at the High Watt. General admission tickets at a two-for-one price are available. Hopefully, they'll make time for a duet, especially since Ray recommended that Warren (who admittedly ain't no Hollaback Girl) check out The Zen of Screaming, a series of video vocal lessons. Warren's Undesirable cast also includes prominent singer-songwriters such as Bragg, Kira Small, Jen Starsinic and Caroline Spence. They either contribute luscious harmonies on other tunes or are part of an all-star chorus on "The Drake Motel", the album's rollicking finale about residing at the affordable roadside getaway on Murfreesboro Pike that touts "Stay Where the Stars Stay". One of its full-time inhabitants has been Lesley, who is featured in Warren's music video. Drawing from a well of local talent/personalities can only help Warren sell this record, which led to this question: Since the prevailing thought about Hollywood is that fellow actors hang out like best friends or next-door neighbors, how true is it that all Nashville singer-songwriters know each other? "It's probably 50 percent true. A lot of us know each other. It tends to be people in the same kind of level in their career. Like the people that are making tons of money and getting cuts on country radio, I don't know them," a humble Warren said with a laugh. "But the other people that are kind of making independent records, I know a lot of them." Warren tried out the Undesirable songs live with a band for the first time during Americanafest week in Nashville in mid-September, and was pleased with the reaction. "People really seem to like them, which is gratifying," she said. "I think this album is a little more rock 'n' roll than War Surplus, and maybe people like that." No matter what you call it, fellow musicians and everyday people should love this album. 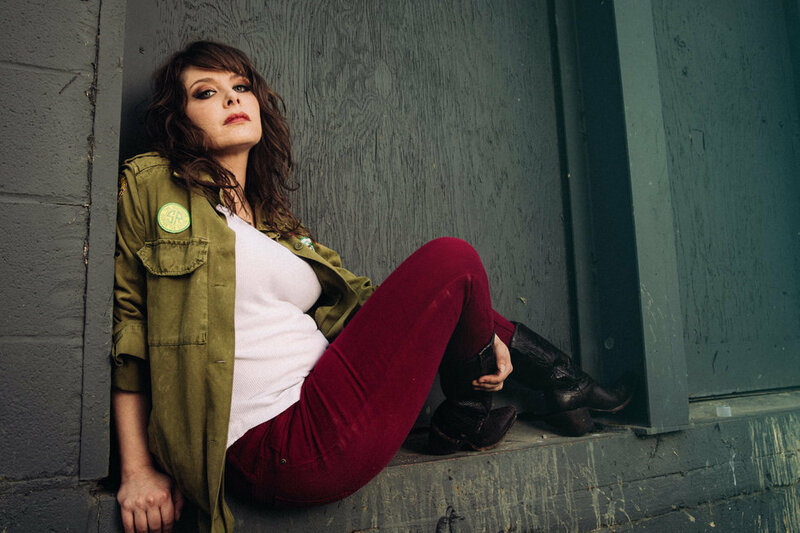 Though she doesn't feel like her music quite qualifies as country and has been making records since Presenting the Great Unknowns in 2004, Warren graciously accepted being named one of Rolling Stone's "10 New Country Artists You Need To Know" for August. "I don't mind being called new because I'm new to most people but … yeah, I kind of feel like this is a rock 'n' roll album more than it's a country album," said Warren, who planted a Southern seed by digging the Black Crowes as a middle-school disciple, then found singer-songwriters like Indigo Girls, Suzanne Vega and Paul Simon before returning to those rock 'n' roll roots. "But, you know, I get it. Rock 'n' roll has gone in its own direction and the kind of rock 'n' roll I do is not really what's in the mainstream of rock 'n' roll, either. "So that, I think, fits in the Americana space and a lot of people see Americana and they think country, and there's some pedal steel on this. And I think of what I love about classic country music, it's sort of the incredible crafting of the songs. And I'm certainly shaped by that for a lot of my own writing. So I see where they're coming from and … I'm not offended at all." Warren would even welcome being played on country radio. "I'd like to be heard on any radio," she said, laughing, before addressing the serious lack of airplay for female artists in Nashville. The issue that country singer-songwriter Jana Kramer raised in June on Twitter (stating "only 3 solo females were in the top 30") strikes a chord with Warren, too, even if that isn't her brand of music. It's surprising, Warren contends, because "a lot of the country artists that I know that are putting out the best music, a lot of them are women," citing Miranda Lambert and Kacey Musgraves as specific examples. "So it seems strange to me that they're not getting on the radio, and I hope that changes," Warren added. "I think that there are more and more women pushing for it and, hopefully, there are more and more men pushing for it, too. Yeah, it's a change that needs to happen. And I don't think it's just in country music. "And I think it's gonna take some effort from people sort of thinking about it consciously before it becomes a natural thing. But, hopefully, at least people are becoming aware of it." They certainly should get to know Becky Warren. As she continues to write and fight for winning causes with Undesirable, there's nobody better to follow. This expressive advocate for the damaged and downtrodden will take a stand and deliver.